Bowling is a great way to unwind, have fun and compete at the same time. 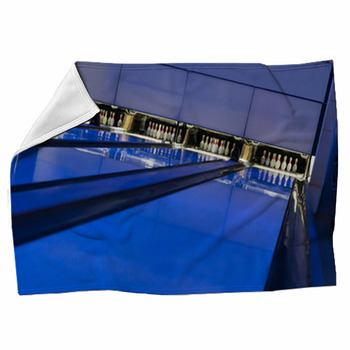 Now with our custom bowling blankets, you can show your ten-pin pride. 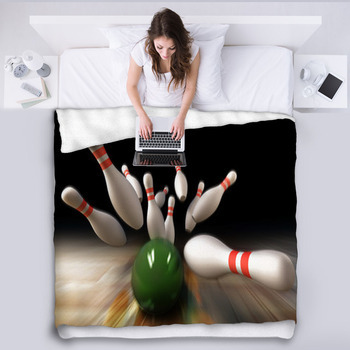 Whether you prefer the camaraderie, cold beers and greasy hotdogs of a night with friends at the bowling alley, or you are a serious league player, you will love decorating your home with blankets depicting a flaming bowling ball bursting through pins, a barrage of pins scattering through the air, or a ball near the beginning of its long journey to pin smashing glory at the end of the lane. Do you have your own ball? 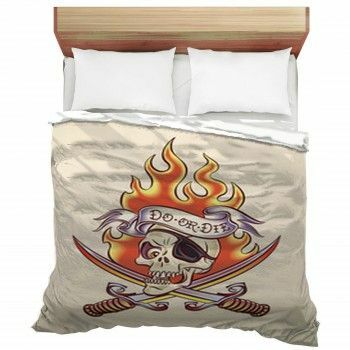 Then pick a blanket showcasing a ball like yours, whether its a classic solid black design exploding through a wall, has swirling shades of blue or is racing red. With the shapes of bowling balls and pins, you don't have to stretch your imagination to the see the sexual connotations possible. 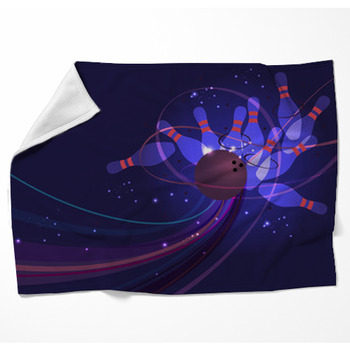 If you like to watch pretty girls bowl, choose a decorative throw blanket displaying a blonde and a brunette in tiny mini-skirts and tops surrounded by bowling equipment, including a purple ball that says Have fun to hang on your den wall or couch when the boys are over. Bowling is a great game for all ages, because those who aren't as strong can simply play with a lighter ball. 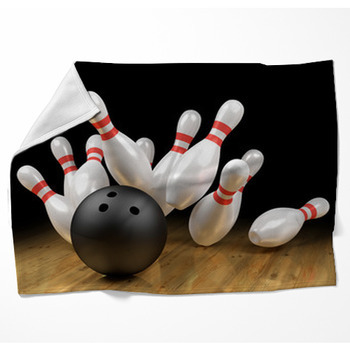 Get your kids interested in this safe activity that requires self-discipline and dedication with our bowling blankets featuring a cartoon bowling pin with bulging eyes and a goofy smile. To throw strikes every time, you've got to visualize your release over and over. 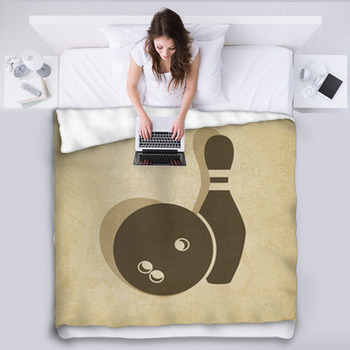 With our furry fleece bowling blankets, you or the bowler in your life will go to sleep comfortably, thinking about your next league night, and dream about finally bowling a 300 point perfect game.